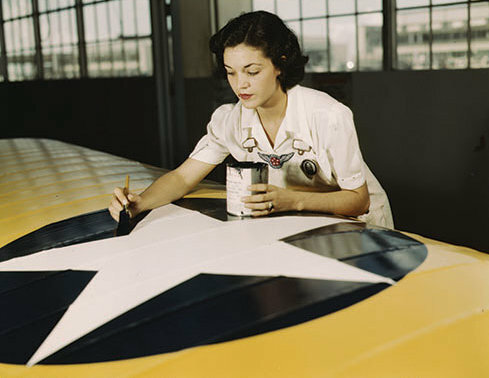 Above- Vultee Aircraft Plant 1936, Downey, California. 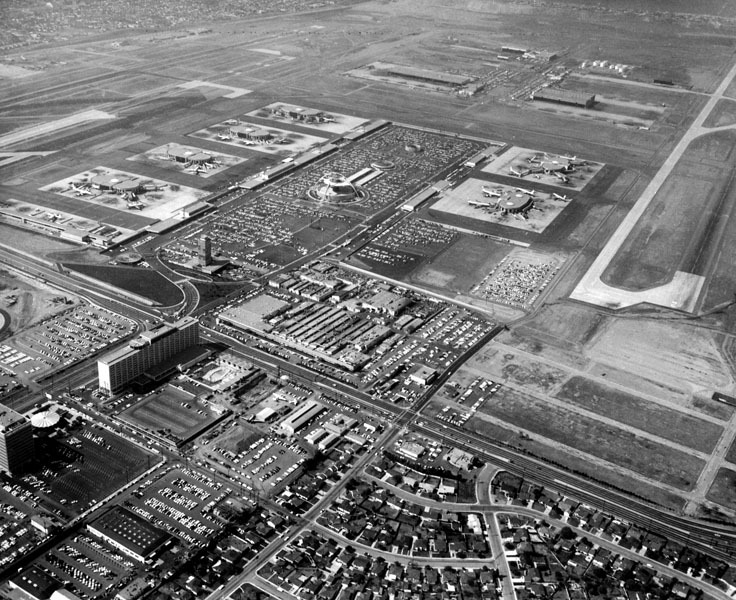 E.M. Smith was a young Los Angeles industrialist who built the EMSCO Aircraft plant in Downey. 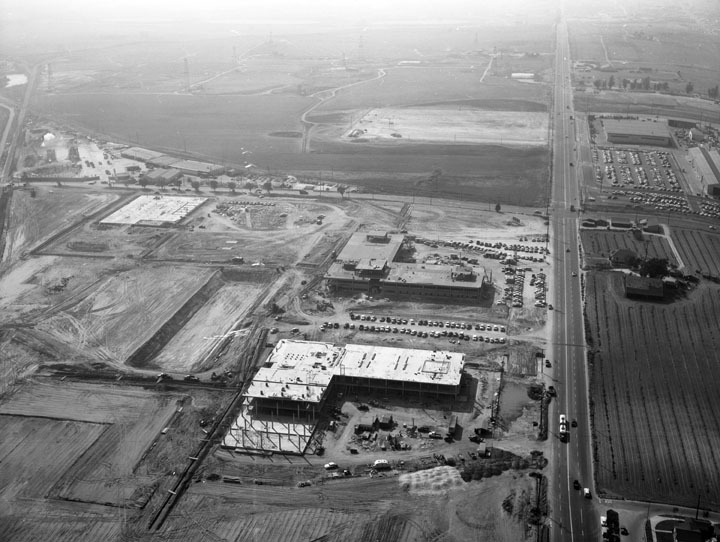 Bert Kinner leased the Downey plant on Jan. 1, 1933. He was a successful aircraft designer. Wealthy industrialist E.M.Smith purchased a 73 acre parcel from James Hughan, who farmed oranges and castor beans on the site. 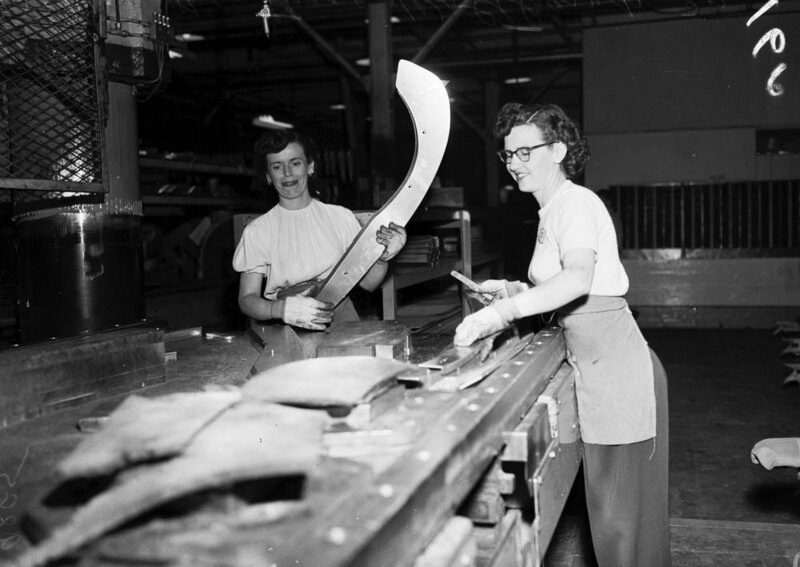 Smith's EMSCO company had a division called Albatross, which manufactured small aircraft. 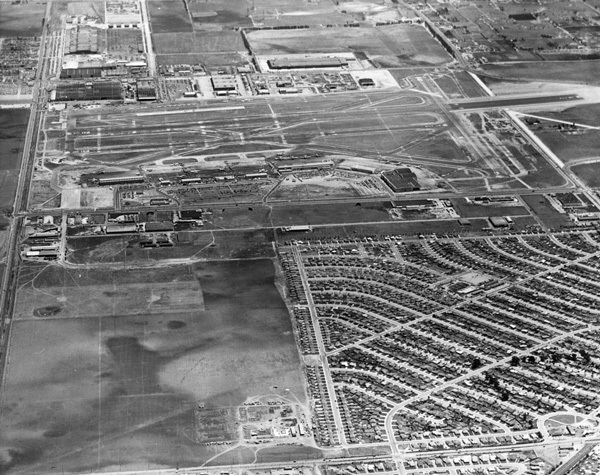 In addition to manufacturing aircraft, Smith saw the former farm land in Downey as a perfect landing field. 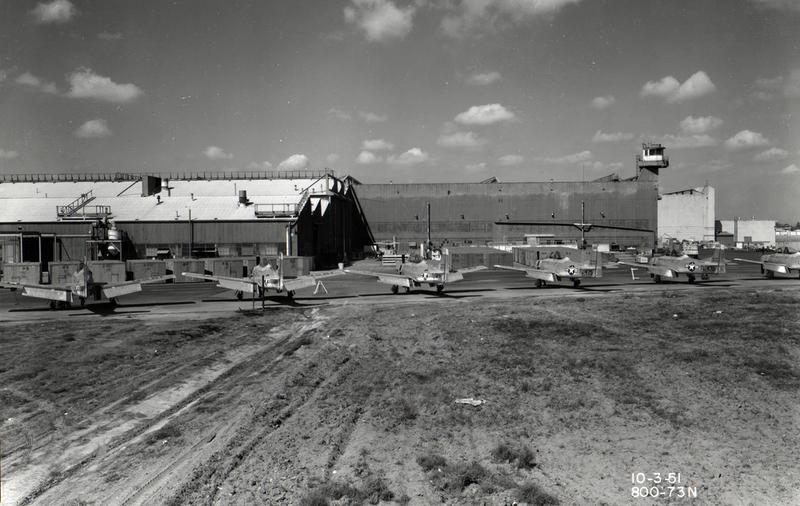 The oldest buildings on the Downey Site were built in 1929 to support the aircraft manufacturing effort. 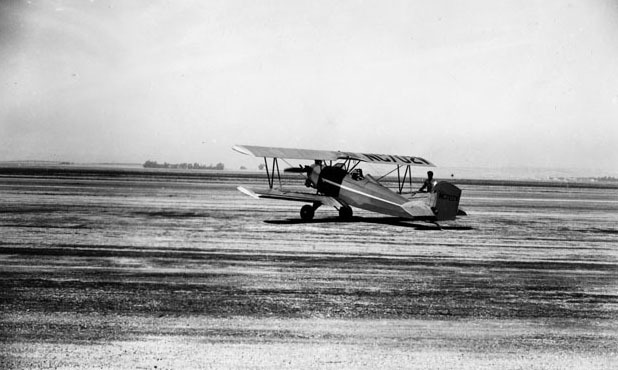 With the Great Depression lagging and poor sales, EMSCO leased the site to Champion Aircraft Corporation who manufactured small, inexpensive 2 seaters meant to fly at low altitudes and low (as little as 10 mph) speeds. Seven months later, Champion also left the site due to poor sales, and the site was leased to Security National Aircraft Corporation. 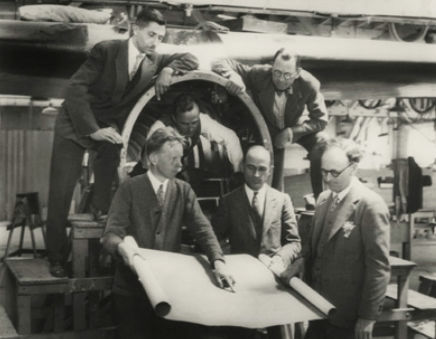 Security was owned by Walter Kinner, who designed and built 2 planes for Amelia Earhart. 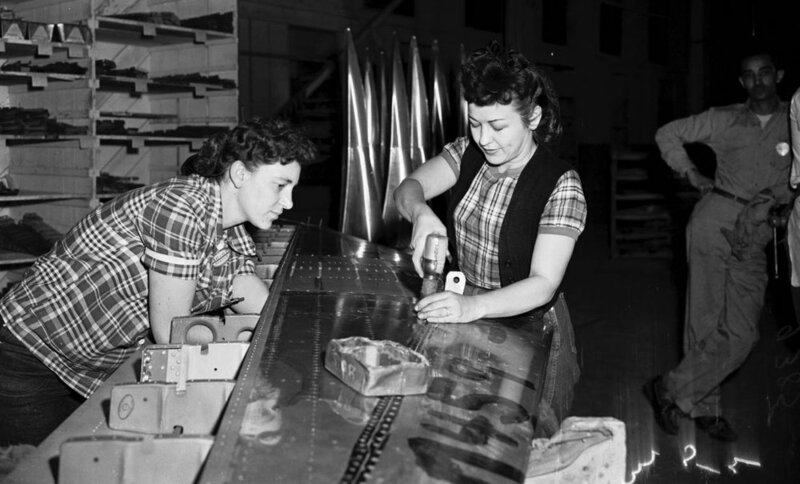 Ownership continued to change hands and in 1936, Aviation Manufacturing Corporation moved their Vultee Aircraft Division into the Downey Site at the suggestion of Gerard Vultee, who once worked for EMSCO as their chief design engineer. 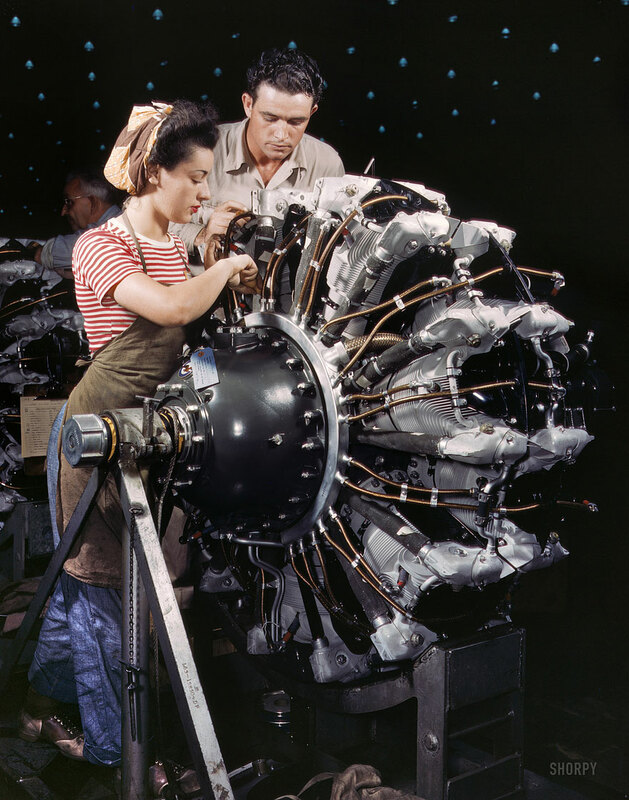 Vultee primarily manufactured large military aircraft and sold planes to the governments of China, the Soviet Union, Turkey and Brazil. Jerry Vultee was Emsco’s chief engineer in 1929. 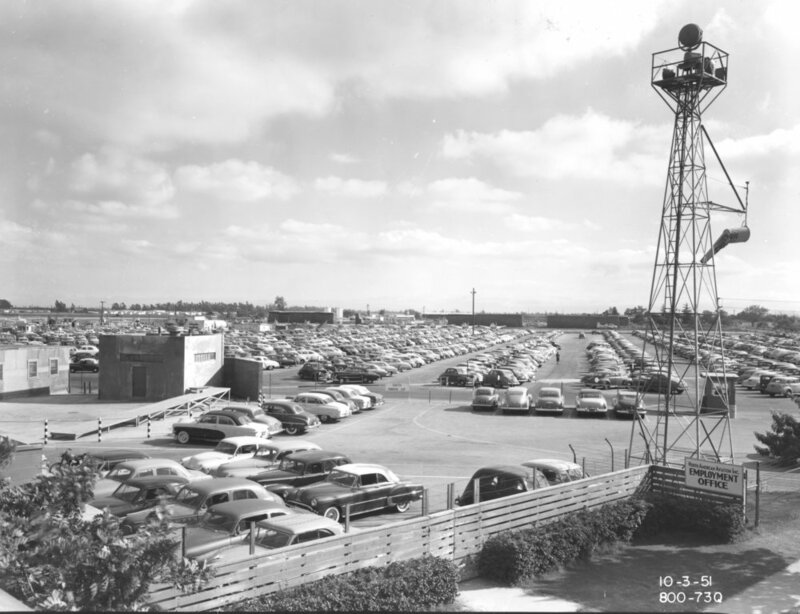 He returned in 1936 to lease the Downey plant. 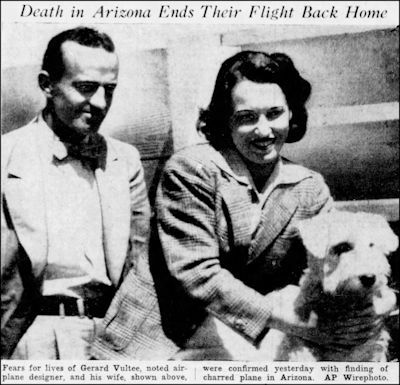 Vultee was working on a contract with the United States government and was flying back from Washington DC when he and his wife were killed in a plane crash. 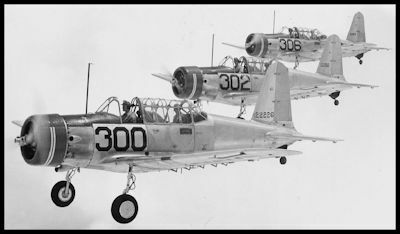 The company forged on without him, and in the 1940s, the Army Air Corp awarded Vultee Aircraft a contract to make their training planes, the Vultee Valiant Basic Trainer. 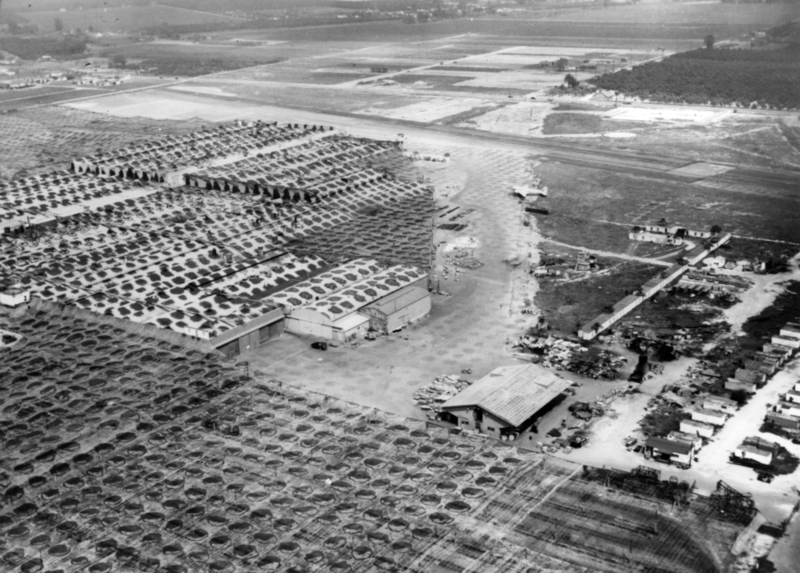 The contract was the largest order ever placed by the Army Air Corp. In need of additional space, LA Architect Gordon B. Kaufman designed space which would double Downey's size. 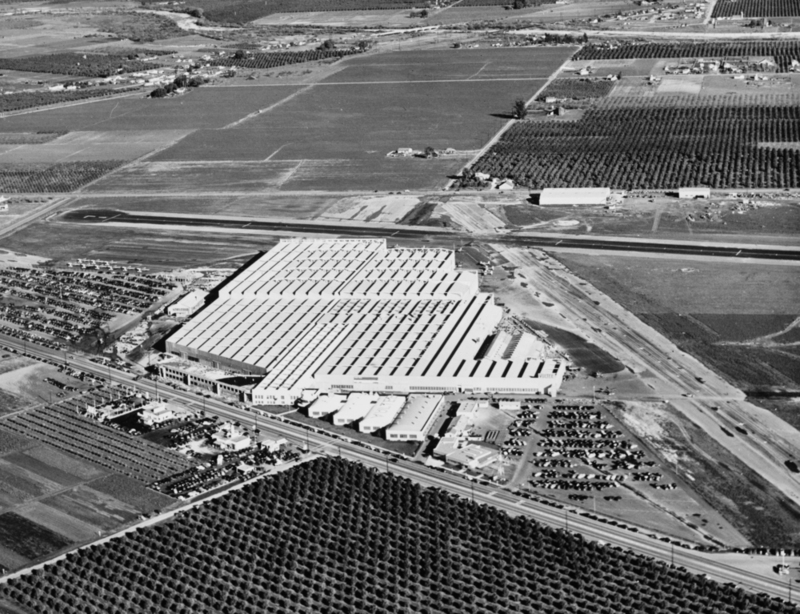 Above- Consolidated Vultee plant in Downey in the 1940. Lakewood Blvd. at Alameda St.San Gabriel River at the top of image. "A single-seat, tricycle-gear fighter with a twin-boom configuration like that of the P-38 Lightning, but with a pusher engine." "The dimensions of the XP-54 tell only part of the story. 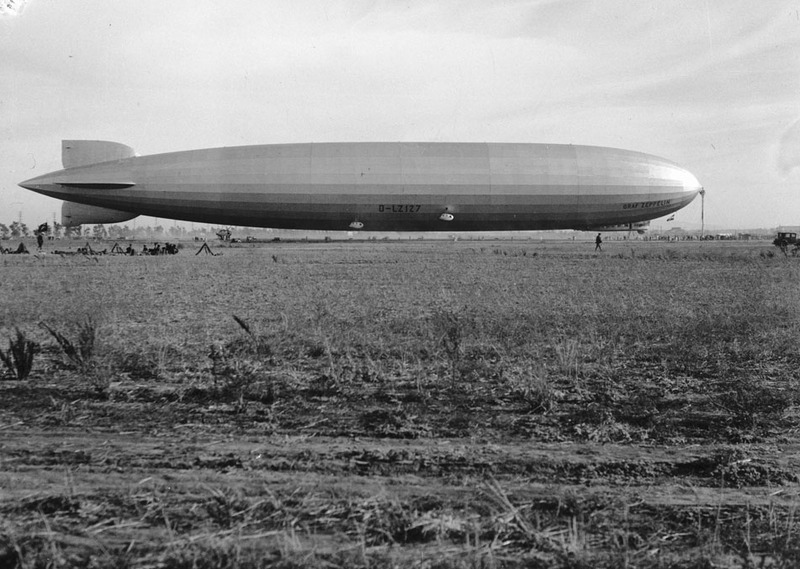 It had a wingspan of 53 feet 10 inches. 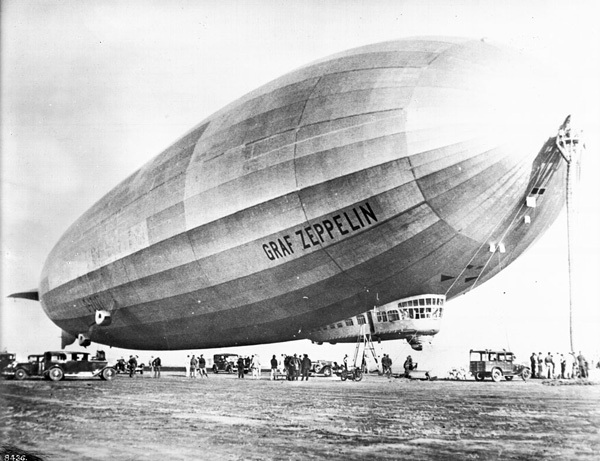 It was 54 feet 9 inches long, only ten feet less than a DC-3 airliner. At maximum takeoff weight, the XP-54 tipped the scales at 19,335 pounds, or more than half again the weight of a fully-loaded P-51 Mustang on a combat mission. On November 29, 2012, Richard Schave of Esotouric visited Jerry Blackburn, President of the Aerospace Legacy Foundation, to talk about the fascinating history of space flight research in Downey, and the heartbreaking view just out Jerry's window of the ongoing demolition of the buildings in which the Apollo Mission and Space Shuttle were developed. Where should US space shrines be? 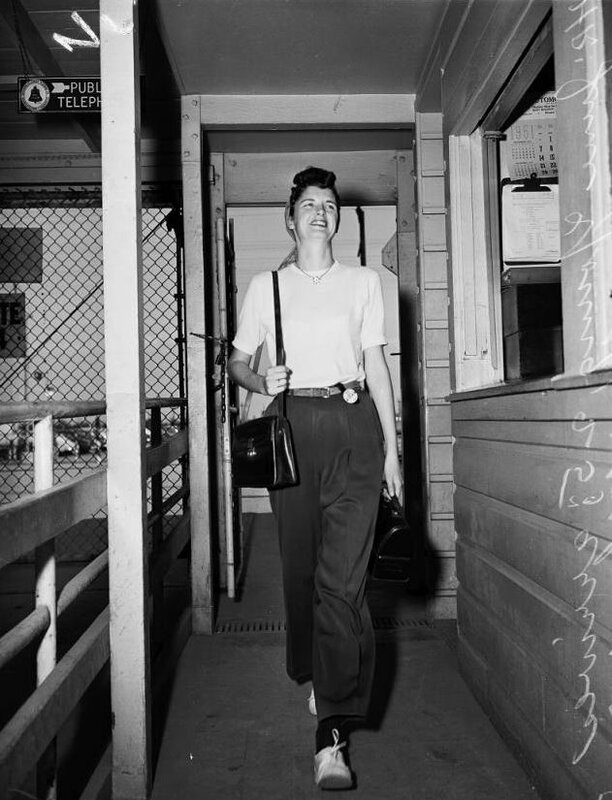 "At a field near Auburn, Mass., where Robert H. Goddard fired the first liquid propulsion rocket in 1926; at White Sands, N.M., where most of the early postwar missile testing was conducted and near-space first brushed; at Cape Kennedy, Fla., where the first space missions were gloriously launched? Or maybe the Langley Research Center in Virginia where the Apollo plan was conceived or possibly Houston, Texas, where the first message from men on the moon was received? There are so many, so many significant landmarks along the way to U.S. space capability. Downey? Donate to ALF and make a difference! 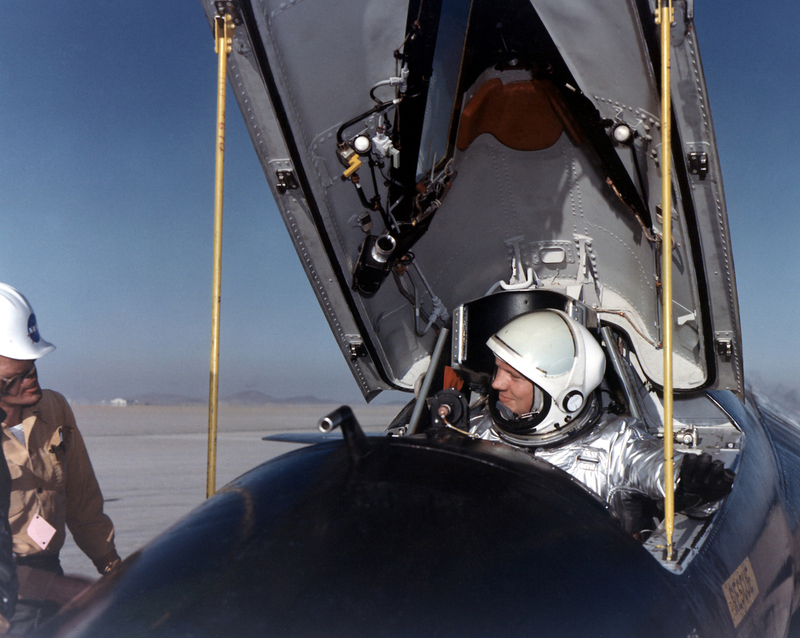 Harrison Allen Storms, Jr., nicknamed "Stormy"
X-15 and HL-10 parked on NASA ramp. 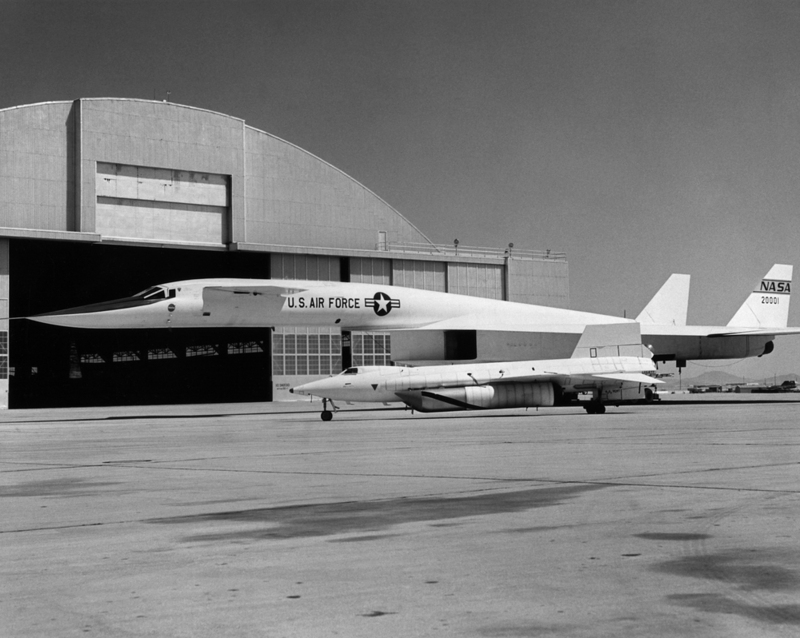 X-15 and XB-70 parked on NASA ramp. X-15s and Lifting Body research aircraft in main NASA hangar. 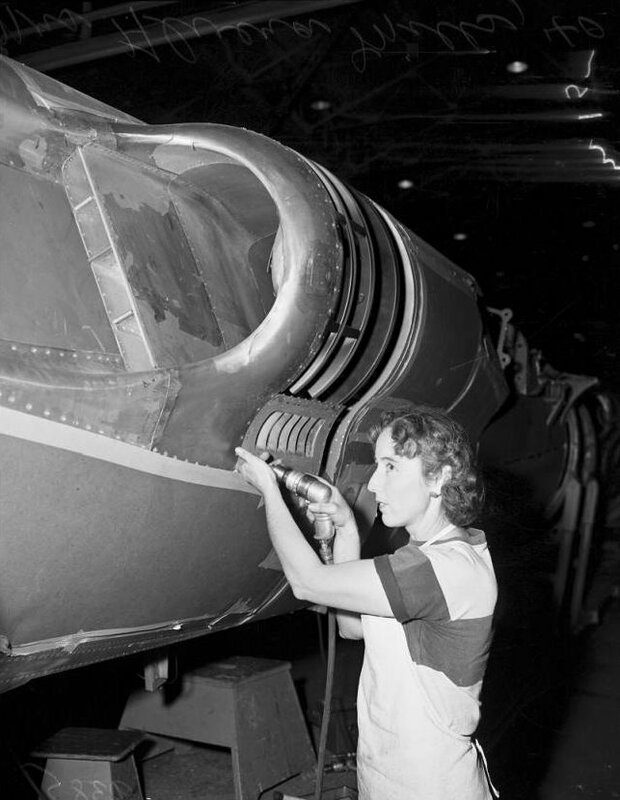 The only representative on the NACA Committee on Aerodynamics to vote against proceeding with the development of the X-15. A posed group portrait of early X-Planes at the NACA High-Speed Flight Station in August 1953. The hypervelocity free-flight facility at NACA Ames fired small (3-4-inch-long) models of the X-15 to observe shock-wave patterns. The X-15 was one of the first aircraft to require what is today called an inertial measurement unit, or stable-platform. The Lockheed F-104 Starfighter was used as a chase airplane and to practice landing maneuvers. Lockheed. Fire crews extinguish the fire under the X-15A-2 after Knight’s landing. North American engineers some of the first large-scale experience with the newest high-strength alloys of titanium and stainless steel. ...varying mainly in what experiments were being carried, and what surfaces had temperature-sensitive paint or experimental ablators on them. Just out of the paint shop at the Flight Research Center, the MA-25S-covered X-15A-2 was the polar opposite of what an X-15 normally looked like. 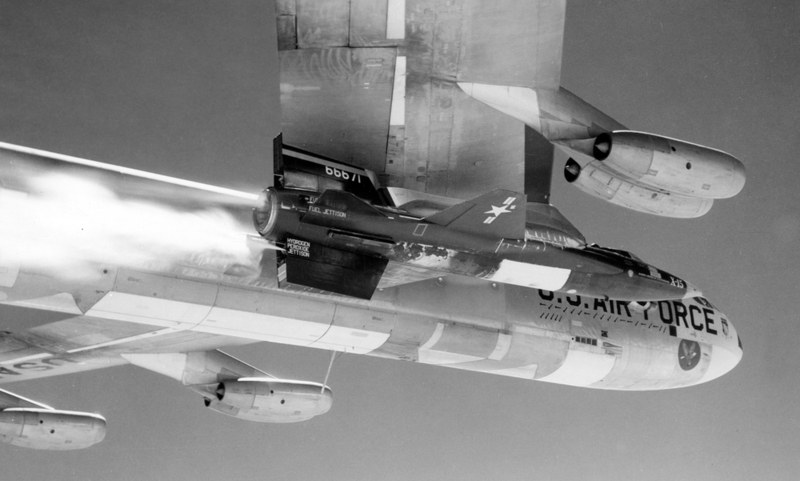 The moment of launch for Pete Knight and X-15A-2 number 56-6671. Knight will free fall away from the launch aircraft before firing his rocket motor. On the crisp, clear morning of November 9, 1961, a prospector working any of the many small mining claims in the bleak country around Mud Lake would have noticed the telltale broad white contrail signaling the approach of a strange formation of aircraft. If his eyesight was particularly acute, he might have discerned a giant Boeing NB-52B Stratofortress arrowing through Nevada’s dark blue sky, flanked by two sleek little fighters, a North American F-100 Super Sabre and a Lockheed F-104 Starfighter. As he watched, he might have seen a long black dart drop precipitously from the B-52, followed by the sudden boom and crackling rumble of an igniting rocket engine. Boosted by 60,000 pounds of thrust, it leapt ahead of the big bomber and its chase planes. Accelerating upward as it burned a ton of anhydrous ammonia and liquid oxygen every 12 seconds, it arced into the transatmosphere, its white exhaust trail pointing like a finger toward the future. "Manufactured by North American Aviation, Inc., three rocket-powered X-15s flew a total of 199 times, with North American (and former National Advisory Committee for Aeronautics or NACA) pilot Scott Crossfield making the first, unpowered glide flight on June 8, 1959. 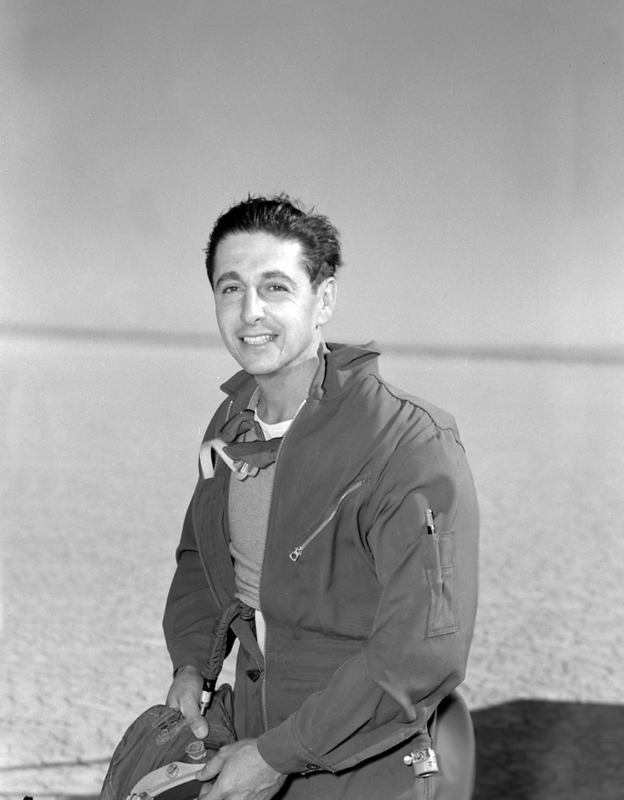 NASA's William H. Dana was the pilot for the final flight in the program on Oct. 24, 1968. All of these flights took place within what was called the "High Range" surrounding but mostly to the east of Edwards Air Force Base, Calif., and NASA's Flight Research Center (later called the NASA Dryden Flight Research Center). 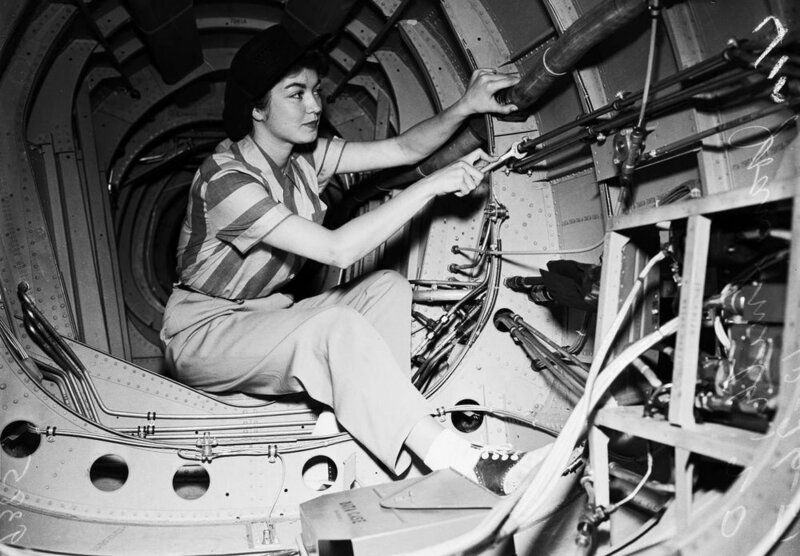 more at http://scitech.quickfound.net/aviation_news_and_search.html On women building B-24 Liberators at Ford's Willow Run plant during WWII. NEW VERSION with improved video & sound: https://www.youtube.com/watch?v=Y0P6UiKPrlI Public domain film from the National Archives, slightly cropped to remove uneven edges, with the aspect ratio corrected, and mild video noise reduction applied. October 1942. 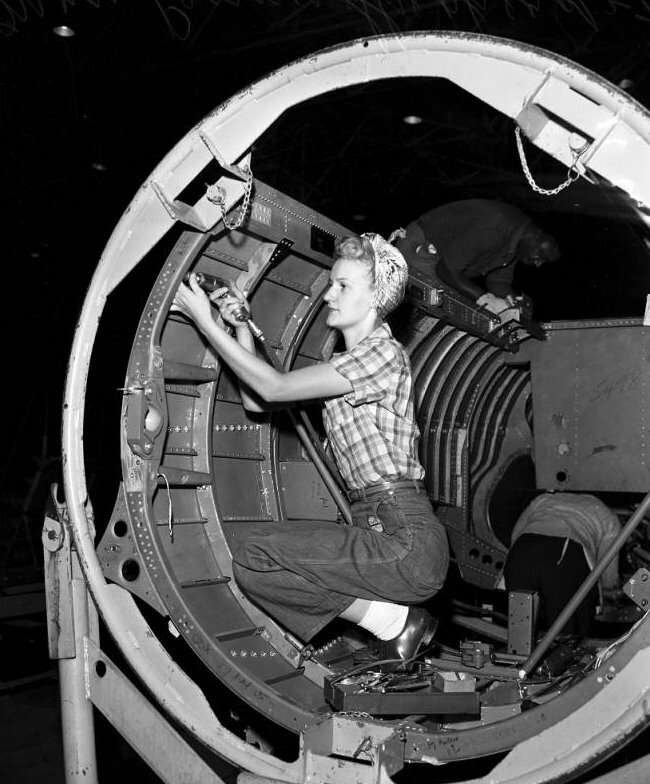 “Women are trained as engine mechanics in thorough Douglas training methods. October 1942. 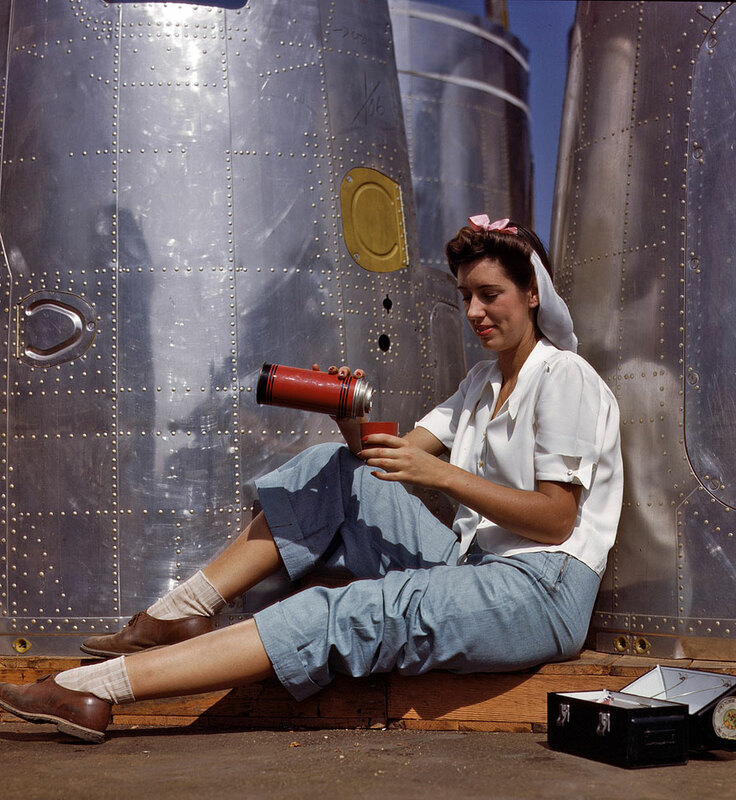 Girl worker at lunch also absorbing California sunshine, Douglas Aircraft Company, Long Beach. 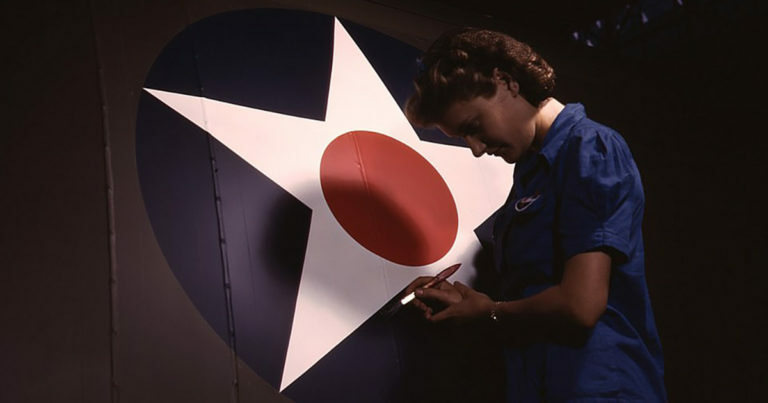 Working on a “Vengeance”dive-bomber at Vultee-Nashville. February 1943. 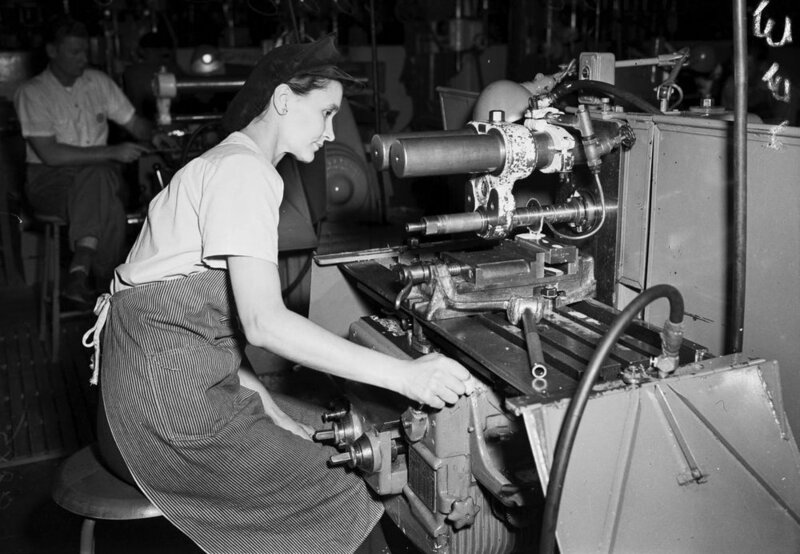 "When millions of men joined the armed forces, women had to replace them by taking jobs that previously had been held by men – such as bank teller, shoe salesperson or even aircraft mechanic. 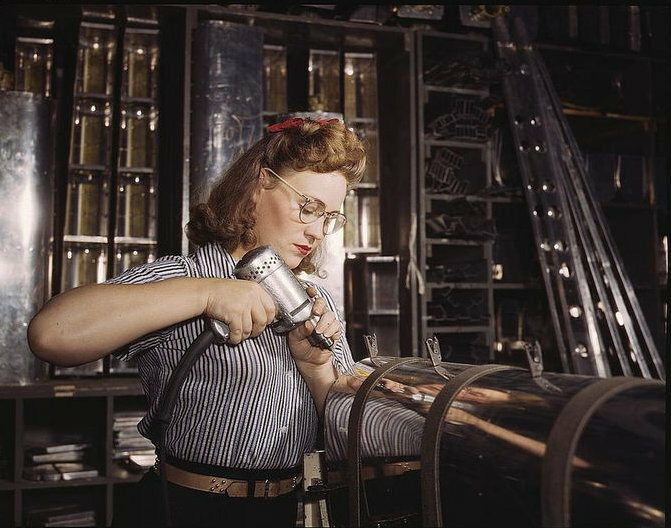 Woman started working in factories – this was called the “Rosie the Riveter” phenomenon. Although we’re blessed of not having to witness the atrocities of World War II, some people take great interest in the history of the period. 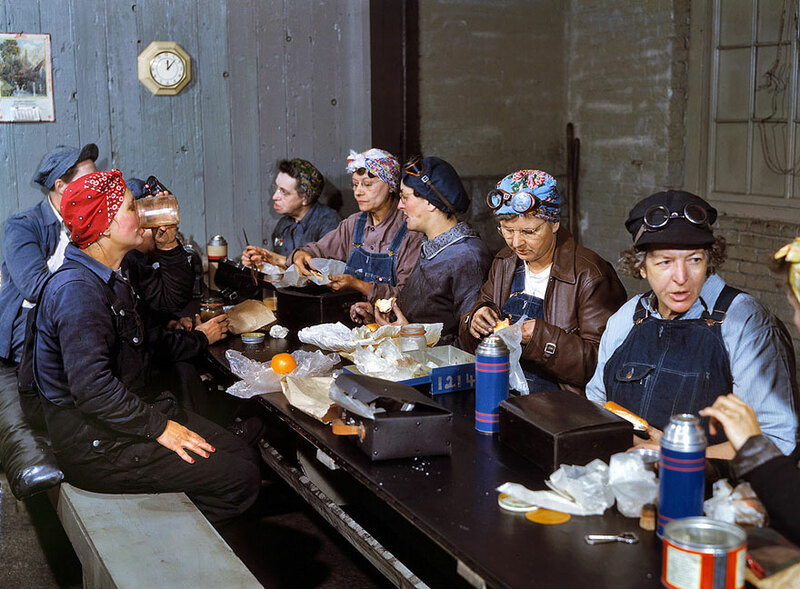 Dave Hall, fascinated by the authentic photographs from the time, brings them back to life by color correcting, toning, and sharpening to restore the brilliant texture and amazing sharpness found in the original negatives and glass plates. 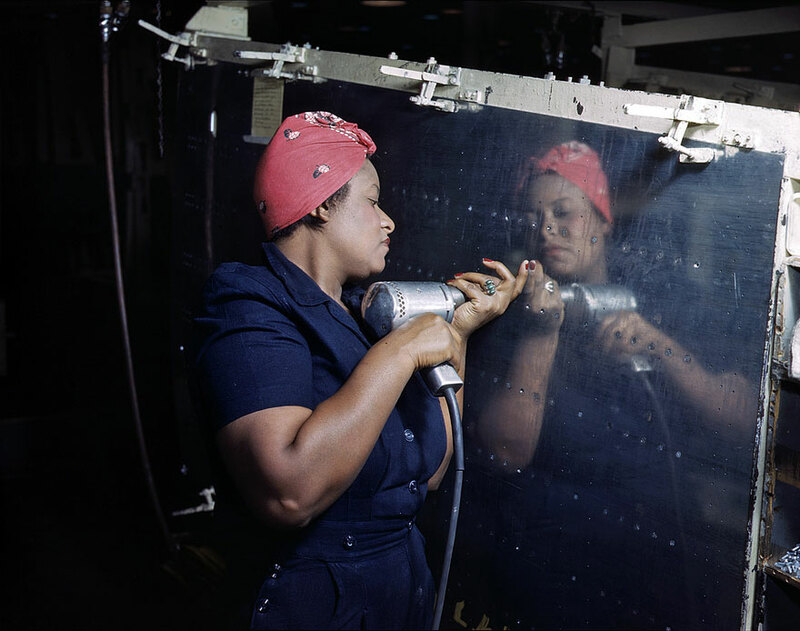 Most of the pictures come from the Library of Congress, and were originally taken by Alfred T. Palmer who worked for the Office of War Information (responsible for promoting patriotism, war news management and women recruitment). 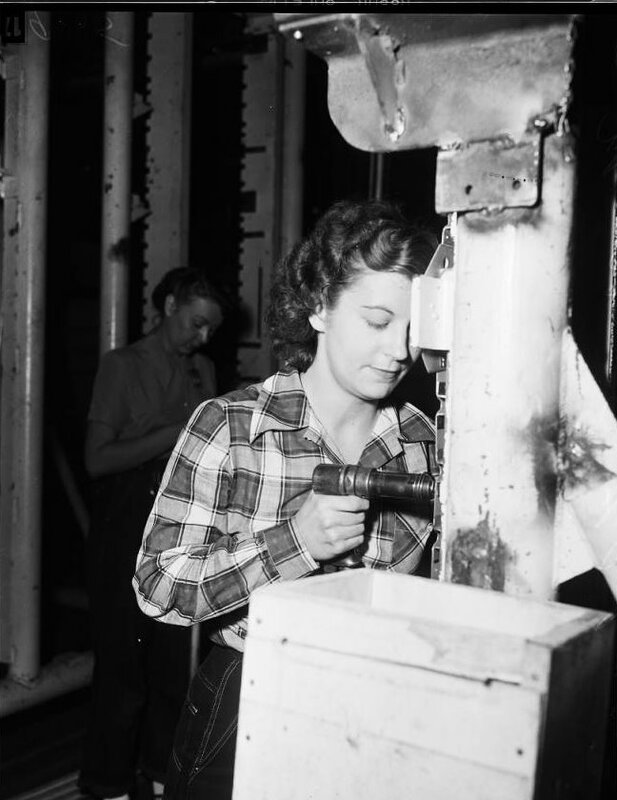 His photos had to lure young women into the factories by showing women workers as glamorous and even fashionable. Dave is also running a vintage photo blog Shorpy.com, where he publishes his retouched photos. 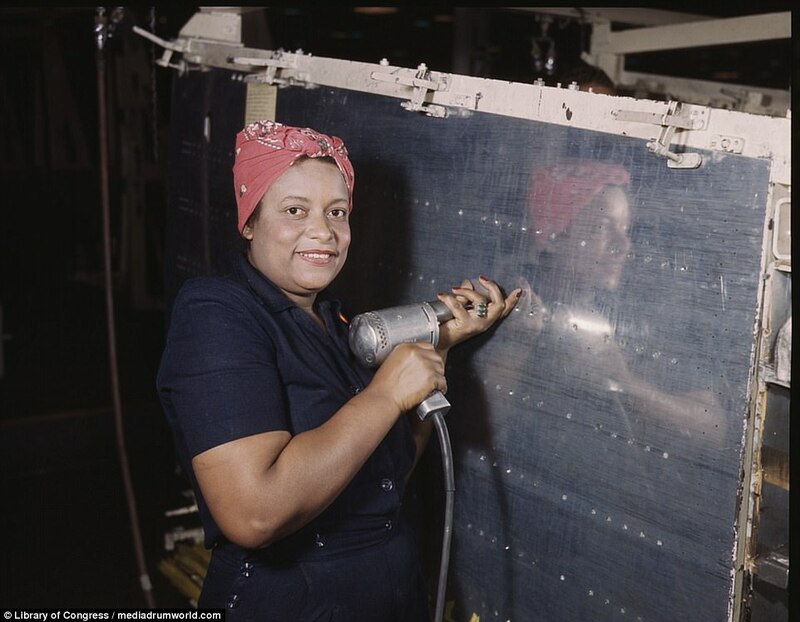 The website is named after Shorpy Higginbotham, who lived over 100 years ago, and today features thousands of high definition images from the 1850s to the 1950s. Some of them could really be confused for contemporary photography!" Donate to ALF, help us grow! 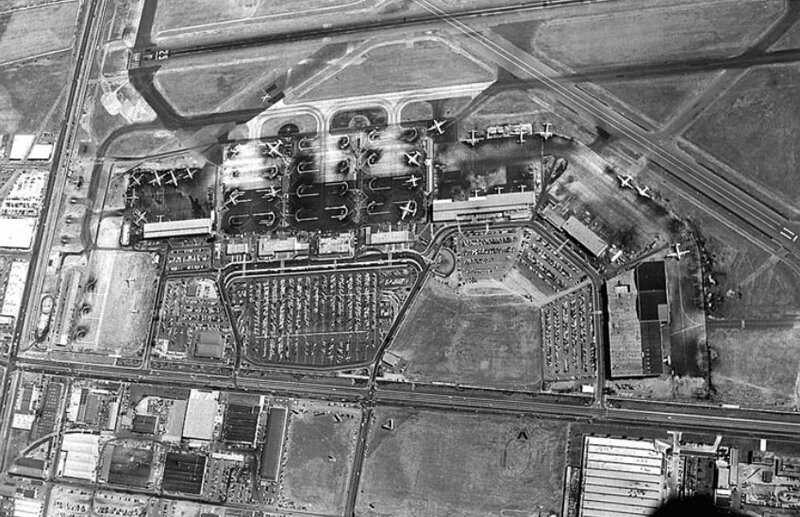 Photograph of an aerial view of Lockheed Aircraft and Airport, ca.1928. 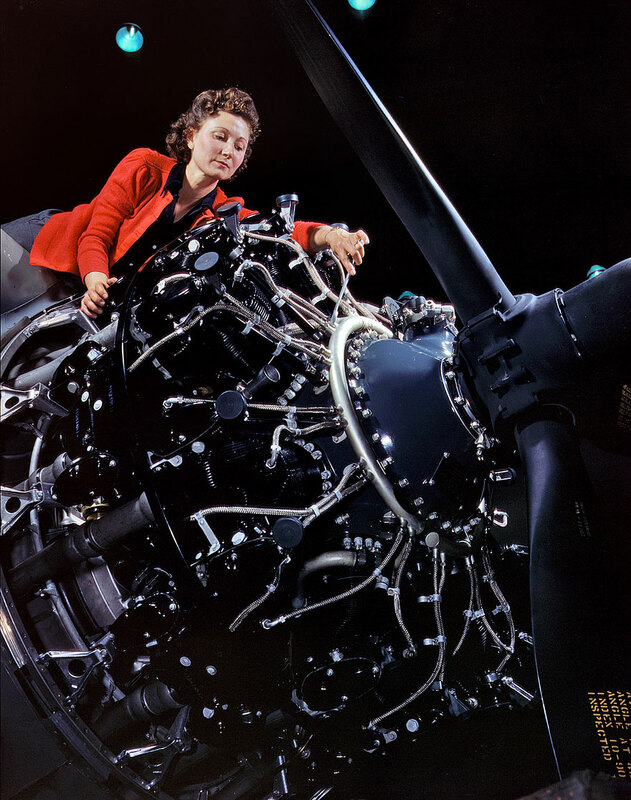 Amelia Earhart and her Lockheed 10E Electra. 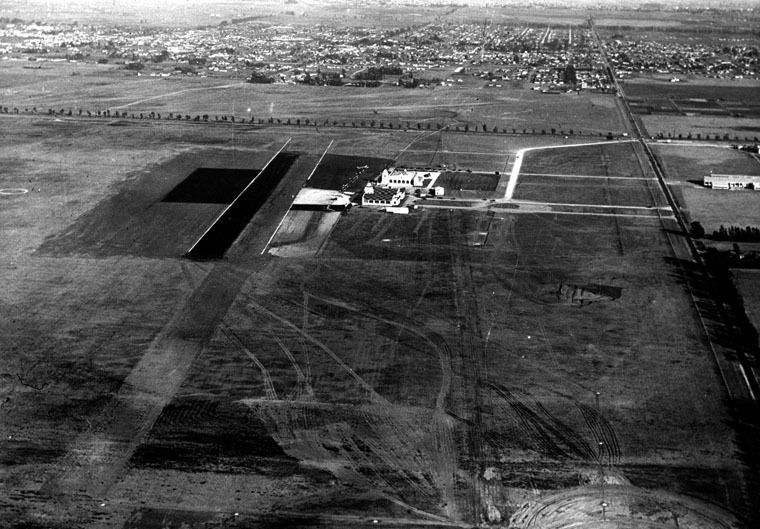 In 1928, the Los Angeles City Council selected 640 acres (1.00 sq. mi; 260 ha) in the southern part of Westchester for a new airport for the city. 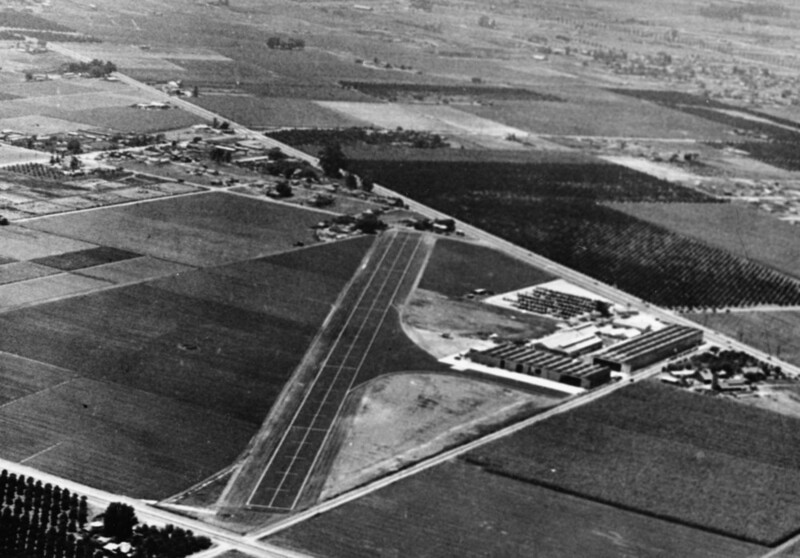 The fields of wheat, barley and lima beans were converted into dirt landing strips without any terminal buildings. It was named Mines Field for William W. Mines, the real estate agent who arranged the deal. The first structure, Hangar No. 1, was erected in 1929.